Math teachers assign all kinds of activities to apply academic skills to the real world. 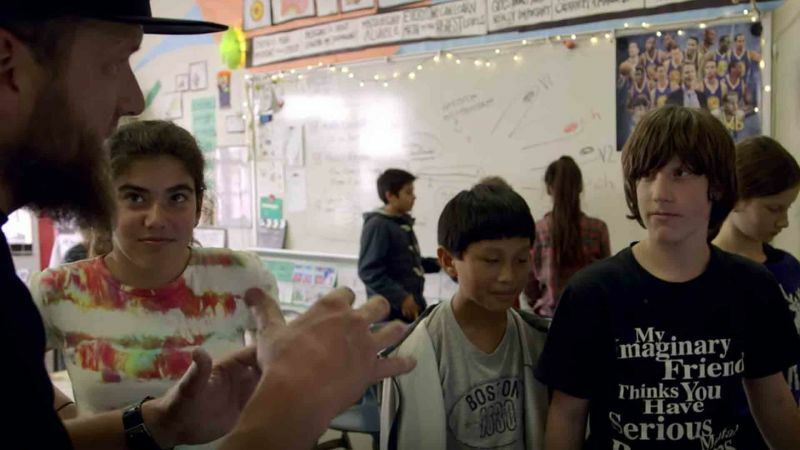 At Willard Middle School in Berkeley, California, Robert MacCarthy (Mr. Mac) has made creating rap songs part of the algebra curriculum to tap into the interests of the students. In the SoulPancake video below, he describes what's important to middle school students and the benefits of applying those interests to academic skills. Most importantly, the kids seem to enjoy this side of their math course. Before hearing about the academic benefits from the teacher, take a look at a video students recently created. Below is the "Soul Pancake" video featuring math teacher Robert MacCarthy showing how his students worked together to make the songs.